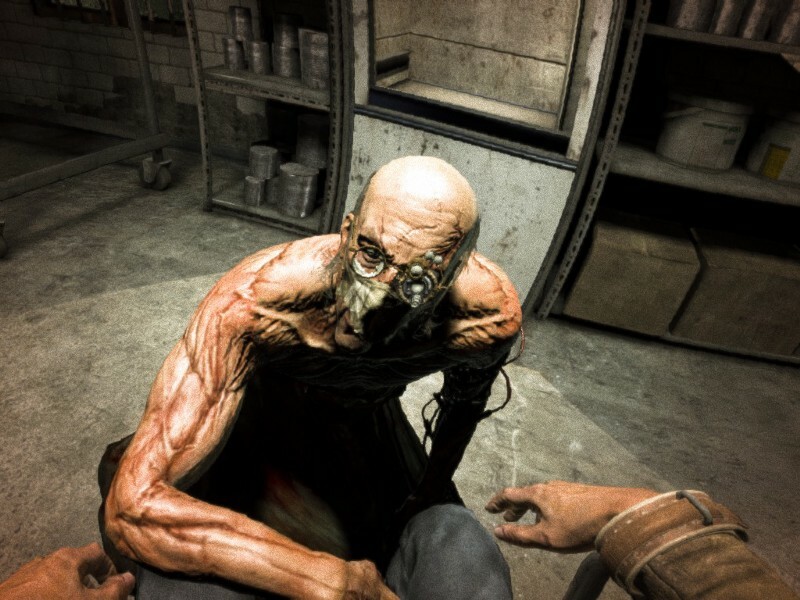 Both the stealth and horror genres occupy a specific niche in game design and sometimes are a part of the same design. They are also both very hard to get right in terms of getting the right feelings out of the player. For today, I want to examine how stealth game design has bounced between three different schools of making the player feel powerful or weak. From the outside, it’s easy to assume that stealth is used to make a player weak — If you can’t just punch your way through every situation, then what can you do? This is where plenty of horror games have gone in terms of stealth design and removing all options for combat. However, even without being able to directly fight the enemy, doesn’t mean that the player is a weakling. The hider represents games where the player’s job is to do what they can to avoid all confrontation. Whether you’re playing as a little girl, or a full grown adult, you are essentially playing a game of hide and seek with your enemies. This category is never about engagement; players who do their job right will never come in contact with the enemy. Even though the player is not directly fighting back, that doesn’t mean that they don’t have any power. In series like Clock Tower, you are able to lay traps for your enemies using the environment to take them out for a short while, or try to distract enemies while you get away. Obviously by the titles listed, the hider is popular among horror designers. When we talk about the use of stealth, a major element are the two “worlds” of the game. You have the player’s world of being stealthy, and then you have the NPCs who are going about their business/stalking the player. For the hider, they are always about staying within their world and never interacting with the outside. There is more to talk about in terms of fight or flight in horror design, but that would be taking us off topic for today. The planner is where we see most titles that have stealth with some other game system attached to it. While the hider’s job is to never be seen or engage with the world around them, the planner is all too eager to do so, but on their own terms. It’s not about bringing enemies into their world, but knowing when to go at the NPCs, and then return to their world. Planners are all about being powerful while they are in control, but typically aren’t able to go full action. If the planner is forced into a fight, they want to end it as quickly as possible and get back into their world of stealth. From a design standpoint, you can go in any number of directions with the planner to try and keep the game interesting. With Hitman, the developers turn each stage into a pseudo open world design to give them a variety of means of completing their goal. You do want to design your game to afford a lot of different options to encourage the player to experiment. One of the more interesting aspects of Metal Gear Solid 5 was the open-world environmental design and how it granted the player a lot of different ways of engagement. With that said, for our final point, we turn to giving the player complete control over the gameplay. Finally, we have the predator format. For this design, the player is the most powerful character on the field — able to take on enemies in and outside of stealth. With the two worlds concept, the player is equally suitable in either one, but still prefers the stealth. Instead of the player feeling weak or sneaking around because they need to; this time, it’s about hunting down the enemies one by one. When Rocksteady was describing the Apex Predator design of Batman, they referenced it similar to how a horror movie villain stalks their prey, and it’s a good analogy to the predator design. Even if the player gets caught or is detected, they are still the most dangerous thing out there. Stealth, instead of being a chore or a forced section, turns into a sandbox of you coming up with all manner of ways to deal with the enemies. With that said, there are inherent problems with this format when it comes to longevity. When the player is all powerful, how do you create interesting challenges to keep them occupied? Even if you throw new enemy types in, the player still has all the advantages. 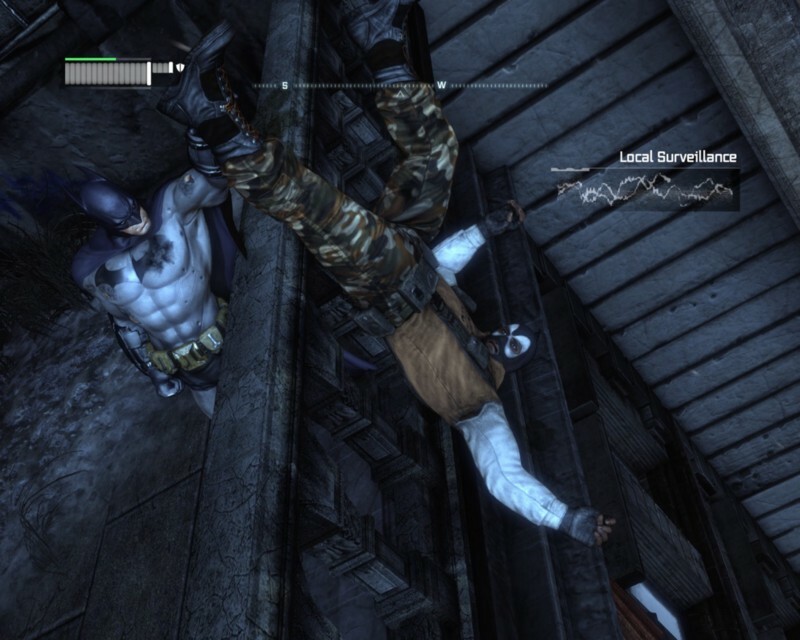 We did see attempts at more dynamic encounters in the later Batman Arkham games, but it still felt hit or miss. If your actions simply disrupt the enemy for one minute, then you just have to wait until things normalize and go back to your previous strategy. Stealth design requires a very unique focus in terms of your gameplay to make most out of it. Whether you build it as an option or the entire point of your design, there is a very wide berth in terms of potential. There is more to talk about in terms of stealth design, such as the different sources of detection, but that can be saved for another post if there’s interest. For you reading this, what kind of stealth design do you prefer, and are there any other examples not mentioned?